There is a tourist attraction "The Statue of Tatsuko" next to it. 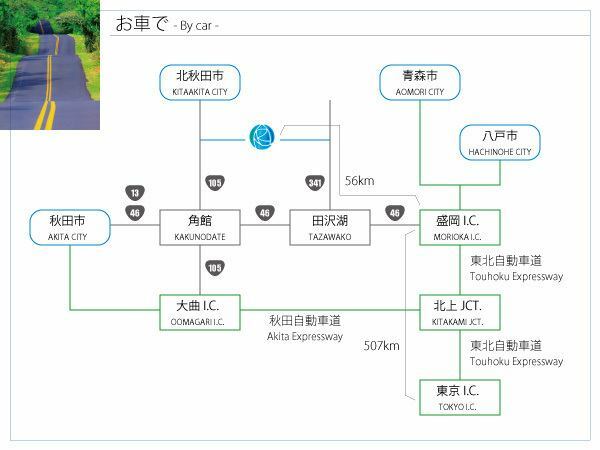 Guests staying at the hotel will take a pick-up service to JR East Japan / Lake Tazawa Station. Please contact us at the time of reservation. ※Pick-up service is subject to reservation.Please contact me by the day before. 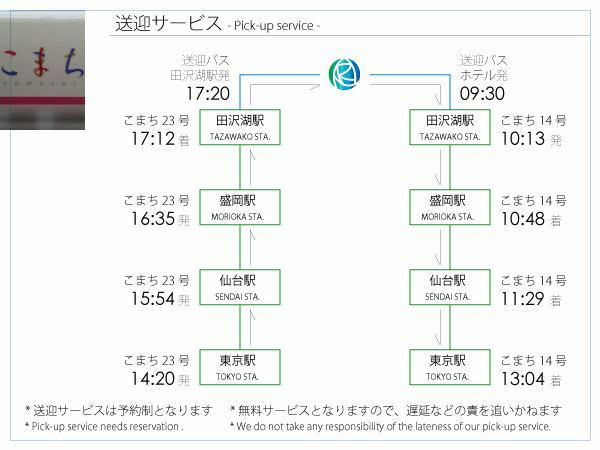 ※Pick-up service is free service.We can not assume responsibility such as delay. ※Services may not be provided due to traffic reasons etc. 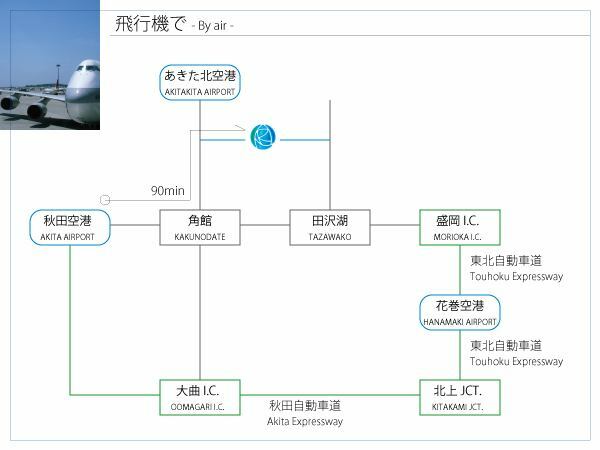 ※When using the bullet train time, please check the latest information. Route 341 direction of Route 341, both the left turn around the Lake Tazawa Roundabout road and the right turn will be about the same distance. Lake Tazawa is approximately 25 minutes via Lake Tazawa station around Route 314, and around Kakunodate Station about 30 minutes via Route 105. If you can not search by car navigation system, please search "Tazawako Prince Hotel". Free parking space is available for guests. Please do not hesitate to visit the front desk when you stop by sightseeing. Akita Airport takes about 1 1/2 hours by car from Akita Airport.